Never could we have imagined just where this photography business would take us! We have met amazing people and have been able to tell incredible stories! Such as that time we told the story of one AMAZING Mom! Or that time we shared the story of How The Dog ate the engagement ring. And of course the many stories of love and family. We don’t deserve this opportunity and we truly feel honored that our clients would choose us to tell their stories. To Each one of you that have trusted us this year… Thank-You! 1). Getting out of Debt!!! If you haven’t read our story and you are struggling in any way with finances…. Stop what your doing and read! 2). Gymnastics & Piano Lessons! There is no way we could have been able to provide our girls with the experience of Gymnastics and piano lessons without this side business! 3). New equipment! This year we were able to introduce a new drone into our video work, as well as some other awesome new equipment to take our work to the next level! Luke & I again are truly thankful. We wholeheartedly believe in giving back and what better way during the holiday season than to offer a complimentary family session??? This will be a regular session with us and we promise the full experience with Luke & Ash! ( Kids & All)! Enter Below. Contest Will End Friday at Noon and winner will be announced and contacted! Must Be willing to sign contract releasing images for Luke & Ashley Social media & website and promotional material. Must be available and willing to shoot December 13th 2015 in the Hampton Roads area on the Peninsula. No monetary value if session is canceled. We haven’t had photos done as a family since my baby was 6 months old. She’s now 4 years old! And my husband and I never take photos together. So it’s definitely time! We love your work, Luke and Ashley! Plus, we need to update our family pictures! My hair isn’t even the same color as it was in the last shoot! lol! Just had a wonderful holiday session, and even if we don’t win we will certainly be booking another session in the very near future! We love Luke and Ashley! You always do such a fantastic job taking pictures of little Bella. Now that we are a family of four, we would love to have a new set of family photos that included new baby Andy! I would love to win this giveaway not for me but for my mom and stepdad. My mom has helped me out so much through my pregnancy and was with me every step of the way . I mean the woman slept between two hospital chairs beside my heart monitor in the hospital so that she could silence the machine everytime it went off so that I could attempt to get some sleep . She has been here so much for the baby already and I would love to give this to her and her husband because they have been married for 5 years and have never had pictures taken together and well everyone should have some luke and ashley wall art on their wall if you ask me !! Found you through my sister in law and am glad I did! Gorgeous photographs! Congrats on the success of your business. Merry Christmas! I enjoyed attending a workshop with Luke & Ashley. It was completely out of my comfort zone. 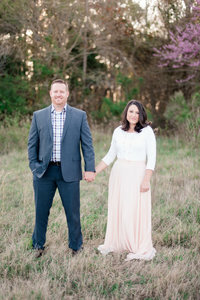 I would love to continue to work with Ashley and Luke by getting family pictures taken. Ohhhh I would love to win!!! I don’t have any pictures of me with all my kids, or even just me and one kid. My oldest is almost 12. Pretty sad huh? :p You guys do such great work! What a nice thing y’all are doing! You guys are awesome!! I’d love to win this to document my little family, especially while baby James is still small. Thanks guys!! We would love to take family pictures with you. I’ve always been so impressed with your work and would love to take some updated family photos! I’ve been long time admirers of the two of you!!!! I would absolutely LOVE to win this! What a generous giveaway!!! We would love to have a photo session with a winter feel. You capture such gorgeous images and it would be a pleasure to work with you! Happy Holidays! We would love to have a photo session with a winter feel in Virginia. You capture such gorgeous images and it would be a pleasure to work with you! Happy Holidays! You are the only one who has taken our family photos. Our last photos include a fiance’ who is no longer a fiancé. I would love to have an updated group session so I can look at my happy family once again. Ashley! Would love to get some updated pics. Last pics we had was at our wedding which we love! But definitely would love some more!! Wow! What an amazing giveaway you’re doing! I can’t express how much a family shoot would mean to me. My husband and I have an almost 3yr old son. We moved here to VA about two years ago and it’s been difficult making friends! Being a photographer myself, it is rare that I am in front of the camera. I’m usually ALWAYS the one snapping photos of the rest of my family. I tell my husband all the time that we need family photos taken – ones where I am in them! I want my son to have photos of me to look back on when he gets older. I would hate for him to ask me why I’m not in any photos! Sure, I can set up my tripod and snap some photos but for once I want to be camera free. I want the raw moments of “us” captured by someone else – I would cherish them forever. I have watched you guys grow from the beginning to now. I’m amazed at all you have came through and have grown into and I’m honored to know you guys. I would love to have a family session done by you guys to commemorate our family growing as well. This would be an honor. I have watched you guys grow from the beginning to now. I’m amazed at all you have came through and have grown into and I’m honored to know you guys. I would love to have a family session done by you guys to commemorate our family growing as well. I would love to have some fun family photos taken by you and Luke! 🙂 You guys are awesome! It would mean the world to us to win this contest! The last family photos that we had done were when Addison was 6 months old. Addison. Is now 5 years old and our son Cameron will be 1 tomorrow. Another great reason to have updated family pictures. You did an amazing job capturing memories of our wedding day in September, that we would be honored to win this contest. I love following your work! You capture beautiful moments in a family’s life. I’d love to have pictures done by y’all!!! I tried to enter 3 times but I didn’t see my story No worries maybe next time.